and the evil one doesn’t touch him. I really like the second part of the NIV Bible translation for this verse - the one who was born of God keeps him safe, and the evil one cannot harm him. The NLT translation says it this way - for God’s Son holds them securely, and the evil one cannot touch them. When we are born of God, we are safe. We have no reason to fear because Jesus Himself is our protector. This Bible verse says that the evil one cannot touch us. What a promise! In the world we live in, there is much to be afraid of, so much uncertainty that can keep people living in a state of fear. But we are not of this world, we are born of God. In John 3:9, the Apostle John says that God's seed remains in us which is His very DNA. So be of good courage today because you have nothing to fear. 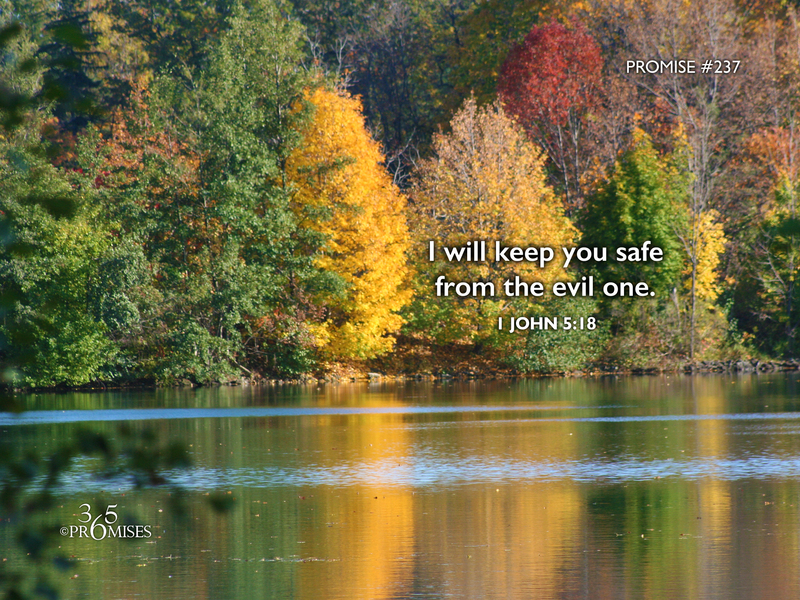 For God has promised to keep you safe and secure in His loving embrace.